Buying a used car presents a trade-off of convenience and expense. Gone are the high-ticket prices that depreciate the moment a new car leaves the lot. Gone also is the new car warranty. It’s a balance that many motorists face daily. There’s no definitive answer when it comes to the question of most affordable car ownership costs since sale price and maintenance costs fluctuate widely in the used car market. One thing holds true, though. A car of lesser value generally insures for less as well. What’s more, a smart shopper can search insurance industry data and target used cars with proven low-cost insurability. While the vehicle itself is only one factor of many that determines the cost of an auto insurance policy, it does have a real effect on the price a driver pays. Let’s look at the way auto insurance fits into the used car purchase event. 2 What do I need to purchase insurance for a second-hand car? 3 What insurance must I have to drive in Ontario? 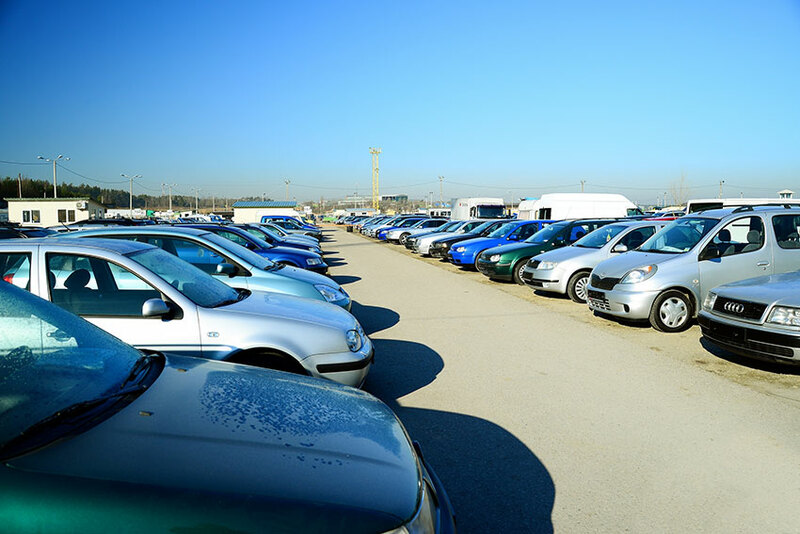 Buying a second hand vehicle requires a few steps through the purchase process. These ensure that a used car is not only legal to drive on public roads, but that it also meets mechanical safety standards. A government-issued package reveals the car’s history so that a seller can’t hide accidents or falsify odometer readings from the buyer. Proof of Insurance: this is the first step and it’s critical. All vehicles must have valid insurance of a minimum standard to use public roads in the province at all times. Violations can incur fines up to $50,000, license suspensions and vehicle impounding. Fortunately, the buyer can insure the vehicle prior to the transaction. With the information for the used car on hand, the buyer’s chosen insurer sets up the policy. It’s necessary before any of the remaining steps. Used Vehicle Information Package: the seller obtains the UVIP package that includes information about the used vehicle. This includes details such as the year, make, model, colour, body and engine type. The registration history shows the current and previous owners, along with previous odometer readings. If there are liens outstanding on the vehicle, these are listed, as is the current market value upon which the buyer pays sales tax. In most cases, a UVIP must accompany a sale. Circumstances such as transferring a car to a family member or donating a vehicle to charity may be exempt. Bill of Sale: There’s a section in the UVIP for this but any sort of receipt works as long as the basic information shows the seller’s name, buyer’s name, date and purchase price. Application for Transfer: this is a section of the seller’s ownership form. This must be completed and signed. Vehicle Safety Certificate: Licensed mechanics approved to conduct safety testing issue this form, assuring that a second-hand car has all the basic functions in working order. DriveClean emissions test: This may not apply in every case. Driver’s License: the buyer must present their driver’s license at the ServiceOntario centre. Current odometer reading information: this becomes part of the government’s history on the vehicle and included the next time a UVIP issues. Vehicle license plates: these stay with the driver, not the vehicle. A plate owner can reuse the plates themselves on another vehicle. The Plate Portion of the Registration document: though the Application for Transfer section goes with the buyer, the remainder of the green ownership paper stays with the seller. This section has the stickers received with plate validation stickers. This is needed to register plates with another vehicle or to request a refund on time remaining for the current year. What do I need to purchase insurance for a second-hand car? Direct writers, insurers providing policies directly to the consumer. It doesn’t matter which method a driver chooses. Each source provides the same services when it comes to issuing auto insurance policies. Each provider requires the same information. The distance driven to work, one way, daily. Is the car used for business driving, such as running to the bank or a supplier? What insurance must I have to drive in Ontario? Ontario’s statutory auto insurance covers four major sections: third party liability, accident benefits, direct compensation-property damage and uninsured/unidentified driver coverage. Liability, as well as accident benefits, have basic amounts for which additional coverage can be purchased. Note that collision coverage is not mandatory, nor is comprehensive insurance. Purchasing a low-cost second-hand car for incidental driving purposes may not require these endorsements if a driver intends to write off the vehicle in the event of an incident. Similarly, deductible amounts may stay high to reduce policy costs if the driver decides to retain collision and comprehensive. Using a loan to buy a car may carry insurance obligations from the lending agency, even for used vehicles. The buyer may need to add collision and/or comprehensive coverage as a condition of financing. No matter what car you’re shopping for, Ratelab’s car insurance calculator makes quick work of your hunt for affordable coverage. Enter your home postal code at the top of the page and follow through the process. Within minutes, your request searches through dozens of Ontario insurers, hunting for the best match and lowest price. Up to ten low-cost quotes result for you to peruse. Try it today. You could save hundreds. How Do Police Warnings Affect Car Insurance Rates? Can The Auto Insurance Company Sue Me? Does Car Insurance Cover Hail Damage?